Hi there! It’s me, Heather. I am writing to you at 7:30 pm (that’s 10:30am for you back in the Rocky Mountain Time Zone) on a Saturday evening. Today I spent the day writing in my journal, running, washing my dishes (done by hand with a small basin and a jerry can of water), and best of all, going to a town called Kibungo to pick up my packages from the post office. Today I was a big winner; not only did I have a package from my dad (that’s Mr. Newell for you) but I also had a box waiting from my high school field hockey coach. I did a little dance outside the big yellow sign that says IPOSITA (meaning post office); with two boxes of America to take home. The package from Mr. Newell (dad) was perfect. He’s somehow perfected the art of cramming as many things as possible into a US postal box. I imagine he’s rather notorious at the local post office as he has sent me nearly 13 packages since I have been in Rwanda. Impressive, right? 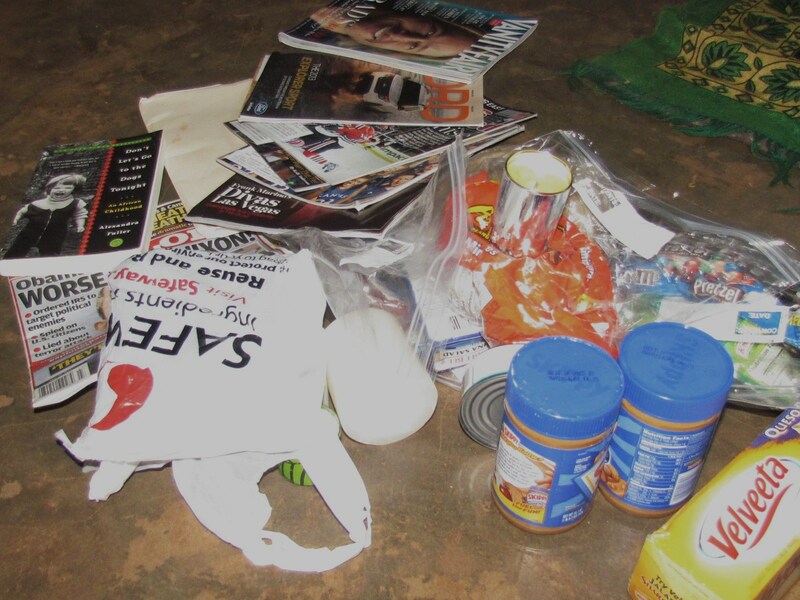 I ran the scissors through the layers and layers of tape to find things such as: Velveeta cheese (queso blanco flavor), candles, hot sauce, a bag of macaroni and cheese mix, Sports Illustrated magazines, chocolate, flavored drink mix, other noodle mixes, and a manilla folder full of your letters. Dad always remembers to send these along. He knows I enjoy reading them, and it’s true, I do. So how is my little punkin? I hope that you are well and happy! I’m now on summer break and enjoying a little down time – so to speak. Overall, I’m about the same, except now I’m 49! Oh well – it’s just a number. Can you believe that I just finished my 26th year of teaching (25 at Overland)? I do truly love my job, in spite some of the bad days. It is a hope of mine that whatever you are doing in life that it makes you happy. That’s right, guys. I’m still his little punkin. That’s been my nickname since I can remember and I thought it was sweet that he started his letter that way even though I am 24. He’s right – age really is just a number. I wanted to highlight this part to gloat for just a second. I am certain my dad probably mentioned it to you (he loves repeating the same things over again) but in this case, he has every right to. The man has been teaching for a quarter of a century! He loves his job and so I just hope as his students you realize how lucky you are to have a teacher that cares so much about what he is doing. I often talk to people about my trip to Rwanda. If you don’t know I had a GREAT time. It gave me needed perspective on what kind of life my daughter is living. What you do is so cool – don’t know how to explain but Heather you are special. About your blogs, many of my students really dig your stuff. Some of what I have read from particular students has floored me. Just to give you a heads up, I told my students that “when” you come home you will come to Overland and meet them. Like I said, I think you have made a connection with some students – and that is what it is all about. Well time to go. I will talk to you many times before you get this, so there you go. Keep safe and fighting the good fight. PS: You should write about the blog responses my students have sent you and how it made you think/feel/respond/etc. Just a thought. I folded his letter and added it to the multitude of other cards, papers, and pictures that I have received since becoming a Peace Corps Volunteer in Rwanda. And then, I decided to write this letter to you. You have been sending me responses to my blog since its conception and for that, I want to thank you. Maybe you read for pure enjoyment, maybe for the extra credit, or maybe for both, but either way, I am just happy to have blog readers and to be able to read your own ideas about what I have been writing. I am sorry I have not written you back – but this one is for you, and I hope I am able to answer some of your questions, add to your perspective, and enrich what you have already learned and discussed about Rwanda. My blog is very important to me. Describing and explaining what it’s like to live, work, and be a part of another country is really really difficult. I have found that providing the right amount of detail in a conversation is actually more challenging than when I have put pen to paper. And thus, I have exerted a lot of time and effort to paint a picture for those of you back home. I don’t know if I have done the most accurate job, but I have been completely honest to what I have experienced and particularly to how I have felt. This is all the more important, I think, when studying something like geography. When you study social sciences you can look at maps, read case studies, and learn about cultural traditions. All of these are crucial; but your best learning experiences are often those that you can relate to. And so maybe you don’t know that much about me, but I am a young American girl. I went to school in the Cherry Creek School District just like you (Grandview High School, Class of 2007), I love cheeseburgers as much as anyone, I enjoy sports, and Colorado has always been my home no matter where my adventures and trips have taken me. So, if nothing else, you can try to learn about another country, culture, and life by way of my blog, knowing that we might have had some similar life experiences. That’s the most I can hope for, anyway. I presume that Mr. Newell has shown you THE Rwandan Power Point Presentation at least twice now. Or, at least he’s shown the video of some of my village kids racing each other after we had finished a big family lunch for my dad’s visit. He loves that video, and he loves that power point presentation. We made the same kind of thing for when I was studying in Ghana, and you know what, I’m sure you have seen that too. I moaned and groaned at the time when Dad and I worked on making that presentation, but looking back, I’m so glad we did. What a way to remember such wonderful memories. I don’t remember everything that that powerpoint has in it, but I can start by telling you that yes, Rwanda is a beautiful country. In your letters, one student wrote “you make Africa seem like a paradise.” In a lot of ways, it really is. It’s one of those places that cannot be captured completely in a photograph. If you see a beautiful sunset, for example, you can go and grab your camera, get a snapshot, and while it’s a nice photo, it doesn’t completely show what it’s like to be there in person. Still, there are a lot of problems in Rwanda. It’s a very poor country. Water can be difficult to find, many people live on less than $2 per day, and a lot of students drop out of school regularly because they can’t afford school fees. But, if it was all about cool animals and gorgeous forests, Peace Corps wouldn’t have sent me here. They sent me here because this is a country that is rising – and rising fast – but needs help to develop in certain areas. One of the most important areas is in English. The country adopted English as an official language a few years ago, but it takes a long time for a standard like that to be achieved, and so here you have me attempting to teach English in a small village. Rwanda is interesting because while a lot of people speak French and English is on the rise, nearly everyone speaks Kinyarwanda. Which made language training easy in that way – no matter where I would be working, everyone would speak the same language. That was when the “easy” part ended. I think Kinyarwanda is actually a very difficult language. I studied intensively for the first three months when I was training to be a Peace Corps Volunteer, which included some days of 6 hour lessons. At this point, I can understand quite a bit. I know a lot of unique phrases and verbs, but speaking grammatically correct was a long-lost dream. I do try, however, and my girls (the ones I often write about) try to correct and teach me something new every day. My favorite Kinyarwanda word? It would probably have to be kajugugugu (meaning “helicopter” – hello, it’s so fun to say!) or for sentimental reasons, komera, which is a command that means “be strong”. To give you a bit of perspective, Rwanda is about the size of Maryland – a pretty small state out East. However, Rwanda has around 11 million people which makes it one of the most densely populated African countries. You can be in the most rural of rural areas and you will still find people. People are everywhere. Dad noticed this right away on his visit – there are paths upon paths that lead to more and more villages. They are remote and rural, yes, but there are just a lot of people in this country. The biggest city is Kigali, which has around 1 million people. It’s a progressively developed city, especially in Africa. It’s very clean and a lot of NGO (Non-Government Organizations) are based here. I’ve been to a handful of large Africa cities (in Ghana, Togo, Benin, Tanzania, and Uganda) and Kigali is by far the most organized and aesthetically clean. That being said, in my experience, it’s still building a night life and a sense of city culture and I think this has a lot to do with the fact that Rwandan culture is a lot different from other African cultures that I have been immersed in. In general, Rwandans tend to be more reserved and won’t always speak their minds. Which is funny, because they say obvious things like, you are white, and it’s like, “um. Yes. Thank you, because I totally wasn’t aware of my skin color.” Yet, if you ask them about emotions or their opinions on some things, they can be evasive. As you may have read in my blog, the Genocide of 1994 has played a major role in the culture and history of the Rwandan people. Next year, in 2014, this country will commemorate 20 years since this horrific event took place. In the span of 100 days, anywhere from 700,000 to 1 million people died at the hands of their neighbors, family, friends, and fellow Rwandans. This has created an interesting and hard-to-explain cultural dynamic. It’s one of the reasons making friends in Rwanda can be quite hard – when you experience something like that, moving forward becomes difficult. But, Rwandans sure are trying. The Peace Corps left Rwanda during this upheaval and didn’t return until 2008. Currently, the Peace Corps has two different programs in this country: education and health. The education sector has volunteers working in school and the health sector has volunteers working in health centers. All of us create “secondary projects” to fill the rest of our time. You sign up for two years, train for three months, move to a village, and kind of just figure it out. Integration is the buzz word as a Peace Corps Volunteer and the way you achieve something like this is through conversation, walking around, greeting people, taking part in cultural events, and just trying to become a part of the community at large. I’ve been at it for two years, and in some ways I feel very successful, and a large part of me feels like I could live here forever and still wouldn’t have it all figured out. A lot of your letters asked why did you join the Peace Corps? I joined Peace Corps because I love helping people. I don’t mean this in a super altruistic, Mother Theresa sort-of-way (though she’s awesome). I just mean it like it is. There are people that are good at math, there are people who can put together computers and build rocket ships, and there are people that organize like nobody’s business. For me, I’ve always loved making connections with other people and building friendships. I’m 100% a people person and though Peace Corps has helped me appreciate alone time, I will always choose to be with family or friends because I like engaging other people in conversation, asking questions, and learning about different ways to approach life. Peace Corps seemed particularly appealing after spending a semester abroad in Ghana. I also didn’t quite know what I wanted to do with my life in the long term, and so I felt like I might as well challenge myself and do something crazy. There are a lot of reasons I chose to do this job for two years and those skim the surface of some of them. But when you boil it all down, it’s just about doing something you love. I am sure you aren’t looking for advice from a girl who chose to live with spotty electricity, in an environment that very little English is spoken, and who has mice wars, but I will tell you this: you will be successful in life when you are simultaneously living out your passions and helping other people. Helping other people looks very different in a lot of different contexts – heck no, it’s not always about going to Africa and helping the poor. It’s not even about going to a soup kitchen or giving change to a homeless man. It’s just living and existing consciously aware of the people around you. Say thank you, hold the door open, ask someone how their family is. These are the things that make a difference. I actually found a lot of your letters really inspiring. Sometimes, no matter where you are in life, you can find yourself in a grind so to speak – am I right? Things just become normal (which is a wonderful thing, of course) but when this happens, we tend to take things for granted. We forget what is so special about our daily lives and we lose touch with what’s so beautiful about actually living. Anyway, in your letters, a lot of you wrote about your own experiences. One of you wrote about your own Peace Corps dreams: I am speechless right now and just dreaming the way you did when you got your packet of acceptance. In response to my blog about filling the role as a mother-figure and about my own mother, one of you wrote in-depth about your personal relationships about your mom and what she means to you. When I read these sort of things, I remember how much we all have to share and it makes me happy that I have the job that I do. I appreciated all of your questions about Rwanda because they made me realize an important universal truth: we all have a lot to learn about the world. For example, some of you asked questions about music in Rwanda, about my house, and about the food I eat. There is a lot of music here in Rwanda – traditional and modern – but there is also a lot of American music as well. American culture pervades a lot of countries in the world, and my students’ favorite music artists are people like Chris Brown, Jordin Sparks, and Bruno Mars. I live in a green house that has bricks and a cement exterior. I have cement floors, paint, and a nicer house than most people in my village. Most of my neighbors live in mud houses with tin roofs. And as for food, in Rwanda there are some important staple dishes: cassava bread, peanut sauce, potatoes and plantains, goat and cow meats, corn on the cob, and beans, to name a few. You see, while life IS very different here, it’s not as crazy and far-fetched as you might think. People are born here, grow up, fall in love, experience heartbreak, try to make the best lives for their families, go to church, have jobs, put food on the table, and play football. I don’t want to downplay all of the cultural and economic disparities, but ultimately the human experience is more uniting if we let it be, I think. So, sometimes, it’s hard to answer your questions because I forget that American high-schoolers might not generally have a picture of what Africa or what Rwanda is like. And believe me, that’s more than okay. But I encourage you to read as many books as you can and learn about new places. This world is changing fast and the more you know about other places, the more you can relate to people at large. And believe me, the same goes for my own students. It’s challenging because they are in the same general phase of life as you. They are secondary school students (what you would call high-schoolers). But their conception of America is a vision that is built based on movies they have seen, rumors they have heard, and perhaps Americans they have met. They think everyone in America has unlimited amounts of money, doesn’t know how to do manual labor, and that we’re all acquainted with celebrities like 50 Cent or Rihanna. Like I said, we all have a lot more to learn about the world, don’t we? Many of you mentioned how difficult it would be to live without comforts and friends and family for this long. And Lord knows, it is! I appreciate my life back in America more than ever, since leaving for Rwanda. But as my time here is drawing to an end, I’m realizing more and more that I didn’t necessarily leave a life behind. In fact, life has just kept on going and going. I realize this because I’ve made INCREDIBLE friendships here. I’ve built a life. I’ve adapted. And so yes, without my parents and family and best friends, it’s been so hard. Nothing could replace those relationships or the kind of love I feel for them. But in return, I’ve continually grown as a young woman and have experienced such a rich and full life here. It’s been very hard and there are have been downright horrible days, but the same would be true even if I lived in America. Moving to another country isn’t so much about “leaving a life”. I didn’t leave anything behind, because those people have been with me my entire time here. Moving to another country is more about being open, being willing to be vulnerable, and if you find yourself just in the right place, you’ll find a new family to help support and love you. Those relationships don’t replace one another; they build one another. That’s how I have managed to be away from my loved ones for so long. I miss them dearly, however. Tomorrow, I am going to pray at the Catholic Church in the morning (the service is only about 2 hours) and after I am cooking a traditional Rwandan dish, ubugali (cassava bread), for Divine, my best friend in Rwanda. This next week at school is full of exams for the students and so I will be busy with supervising exams and grading the English tests. Soon my mother will be here, and I look forward to posting photographs of her visit. I know you students are now in summer break. So, maybe none of you will even read or see this. But I hope you do! I keep all of your letters and I frequently look back on them to understand better what you want to know about Rwanda. Your encouragement is helpful, well-received, and much appreciated. Thank you again for all of the support and response to my blog. I definitely plan on answering more of your questions again. And, like my dad said in his letter to me, when I do come home from Rwanda, I will absolutely visit Overland and your class to meet you face-to-face. Before I go, I just want to share my favorite pieces of Rwanda. Rwanda can be an extraordinarily challenging place to live (being white does not make this easy) but it has some of the most redeeming qualities. In my village, I can get free hugs from the cutest and most adorable old women in the world. Small children often run after me screaming my name (a nightmare perhaps for some, but a joy for me). If I walk for just 10 minutes, I can be on the cliff of a large mountain, breathing in what just has to be a creation from God. It’s home now. And while America is upon me later this year, I will be really sad to leave this place. Rwandans can be nosy, evasive, and secretive. But they will always open their home for you. They will take care of you. And I think we Americans could learn a lot from people who live life a lot differently than we do. I don’t mean to romanticize the problems here, but my neighbors, friends, and students have taught me things that I never could have never learned otherwise. That, my friends, is really why I wanted to do something like this. I look forward to your next batch of letters. Until then, enjoy summer, the sun, and a break from school. It’s been great. getting a package = america in a box = a very happy heather. visiting some of Divine’s family in Eastern Rwanda. And yes, that’s a stuffed animal on my back. I promise I really am 24. 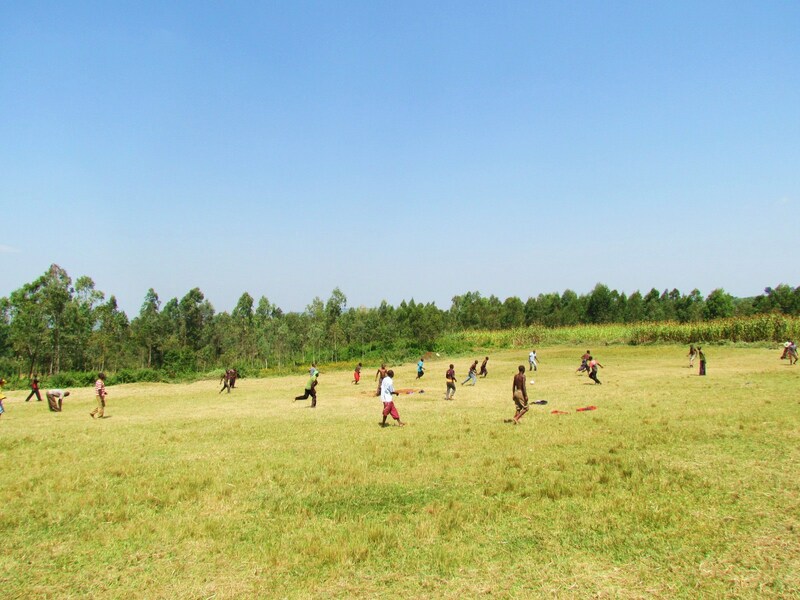 This is a large shot of our community men’s team playing football (known as ‘soccer’ in America). There are ALWAYS teams playing on the fields. It’s awesome. As part of my sports development project, the community gave its contribution by making field renovations and making the field a better place to play. Here is me and some of my neighbors after they finished their day of service. Here’s a staggering fact for you. Take the 5 girls I took to the Eastern Region GLOW Camp last summer in late July and August. Out of 5, 0 have a father in their life. Joyce’s father died a long time ago. I’m not sure why. I was never really provided with the details and it wasn’t something I tried to push. She lives with her extended family and I’m pretty sure she is an orphan. Divine’s father died in December of 2011. How? Well, again, I’m not really sure. We just talked about this last week, and I could tell it was a very sensitive thing to be talking about. Yet, she’s a brave girl, and she explained in broken English as best as she could. Joselyne’s father died a few years ago because of food poisoning. Yes, you may have had to read that twice, but indeed, he died of food poisoning. This kind of thing really happens in Rwanda. At first, I chalked all this talk of food poisoning up to a myth that was used when they couldn’t really explain other reasons for death, like old age, undetected diseases, and what have you. But no, Joselyne insists that is how her father died. He visited Gisenyi, up North, and received a special invitation to a party and never made it home. He died immediately after being served beer—evidently, a poison loaded batch. Poison is more common in rural, more isolated parts of Rwanda and is often used as a way to make someone sick because of “jealousy”. I’m told that often, the person trying to harm someone doesn’t want to kill them, but to make them sick so they have some sort of temporary disadvantage. Still, people die. Maisara’s dad is terrible. Awful. A bad man, as she tells me. Maisara recently (within the last year) relocated with her mother and sister, Zahara, to live with their grandmother in a small, three-room house. They moved because their father’s beatings were getting out of control and the mother made a decision that they had to leave. Getting the safety they needed was obviously of the upmost importance and I cannot even begin to describe the kind of strength their mother has. I don’t think it is necessarily common here for women to make that kind of decision—to defy the man—and so since day one, I’ve respected this woman to an infinite degree. Now, they’re safer (they still have a major problem with him coming by the house and threatening to harm, hurt, or kill people), but without the financial support of their father (he refuses to give any money for school) they struggle to get by. It’s not fair. I hate that the right decision can also lead to so much hardship. I met the father, once, on accident, in the road. Another student of mine explained who he was, and I made no false impression—I shook his hand, barely uttered a greeting, and simply looked at him with a look of disdain. How do you live with yourself? Yvonne’s dad also died. I saw a picture of him for the first time a couple of weeks ago, and she simply remarked, “that’s my father.” I knew he was not a part of her life (I have probably visited close to 10 times and not once has his presence come up) but after showing me the photo, she finally did reveal that he had passed away. Why? Again, I don’t know. It’s amazing that you can have these close relationships here with people, and yet still, know very little. Like I’ve noted before, if Rwandans want to build emotional walls, they do, and they build them quite nicely. You can get shut out in a matter of seconds, before you even realize that you are distinctly on the outside looking in. Yeah, it just so happens that these 5 girls don’t have their own father in their lives, but it’s more than just these girls. It’s a lot of Rwandan families I’m seeing; so many are matriarch-dominated. People were very impressed. To travel all of this way, to pay that kind of money; all to see his daughter. It’s been about a month since dad’s visit and still people are talking about how beautiful it was to see him come all the way here because he loves me. It was inspiring, I think, for a lot of people. Even the other day, as I was explaining more intricate details of why and how my parents divorced to Divine, her main comment was that, “well, no matter, because you have good parents. Because your father has come and your mother will come. They love you so much.” It’s like, yeah, how in the world can I argue with that? Our reunion was pretty epic, I would say. I was jittery from excitement, nerves, and coffee. But all of that dissipated when I saw dad. I was worried that I wouldn’t recognize him right away—maybe he would look a lot older or something—but that wasn’t a problem. Holding his large pea green roller suitcase, he was exiting the baggage area wearing his Hendrix field hockey hat. He looked just like I remembered. I shifted around other people and the gate so I could run right into his arms. It was emotional, and I just couldn’t believe I was hugging him. I couldn’t believe he was here. I couldn’t believe it had been so long. To say the least, it was rather surreal. Dad’s first impression of Rwanda was that it was, “…really green, with lots of smiling people, and that Kigali was very clean.” Pretty accurate, I would say. We did a lot in our days together. We traveled to a good portion of Rwanda—and it being the size of Maryland, I suppose it’s not hard to do, but we did so many different things that it was really quite impressive. We ventured around Kigali, eating pizza, playing blackjack, hanging out in the hotel room, dining at the Milles Collines (the hotel that provides the basis for the movie Hotel Rwanda), getting me coffee at Bourbon Coffee, and shopping at several convenience stores (which are always a special treat for me). Outside of Kigali, we visited my site (ate AND slept here: props to my dad for being an awesome sport), took a pit stop at Lake Muhazi (a large lake out East), ate with my host family in the Southern Province, visited a deeply intense and emotional Genocide Memorial at a church, relaxed beachside in Gisenyi, and saw gorillas in the far North in Musanze. We alternated between taking a private car and public transportation. Dad’s take on the bus station in three words? Surreal, hectic, and busy. It’s so weird (and awesome) when worlds collide. It can be stressful; you become consumed with stress because you want each part of your life to accept, like, and feel comfortable with each other. But, it can also be incredibly moving; here’s an opportunity to take two experiences, two “yous” and share them. Because ultimately, I am not the same person I was before I left, and to show someone, especially of such importance like my dad, the place where I have put so much of myself, well it’s an honor, really. It’s a meeting, a joining, of someone who has had a profound impact on who I am with a place that’s currently giving some of the greatest joy that I have known. There can be confusion—I remember dad asking me in village, upon being visited and greeted seemingly a million times, why do we have to greet every single person? There can be times of profound amazement—um. Hello. Standing less than a foot from a wild gorilla will do that for you. There can be times of unrivaled emotion—hearing an old woman explain the history of her family during the Genocide in a small, African home in the middle of a rural village. And even sometimes, there can be experiences that feel exactly normal, like nothing has changed at all—dad and I spent a good chunk of our dinners and walks discussing politics, the Broncos, and family. We could quite literally, pick up where we left off, even if it has been many days and separation by way of many countries and oceans. I was just so proud to show my dad this place, and to show this place my dad. When finishing up a long day of home visits on one of the days in my village, my dad remarked about how he had moved from being pretty shocked by my home (he initially thought I was living on “ground zero” in poverty, but by comparison to my neighbors, I actually have a pretty nice home) to starting to really see how a place like this could grow on a person. I just nodded and smile. Good, I thought. He sees it too. It was hard to see my dad go after 16 days. We arrived at the airport and I could feel the fogginess of my emotion permeating my brain. I just didn’t really want to face the goodbye, and yet, I knew it was inevitable. But something amazing happened right as he put his bag in the security check point; I felt a rush of relief and gratitude. In a matter of seconds, I realized how special our trip was, how important it was for our relationship, and that dad was really right (he had previously repeated better to have love and lost than to have never loved at all—yeah, that’s my dad for you). It was okay. Because he came here (for Christmas, no less), he saw this place, and we shared a lot of new memories. It wasn’t that it was perfect, but that instead, it was a time for family, love, and being together. Ultimately, whether it’s Ghana, Rwanda…or any place in the world, distance doesn’t have to break or degrade a relationship. It gets a chance to grow in a new way, and I walk away from my dad’s trip with the conviction that no matter how many days pass between seeing a person that you love, that love is strong enough to thrive. Somehow, the world’s lottery (as dad refers to it as) gave me the dad I got, and honest-to-God, I’m so pleased with my winnings. Dad, visits my market in my village, Ruramira. Everybody loved him. Of course, right? Is there any other reason why we stay instead of leaving? Dressed in my handy, go-to, red, turquoise, and green Rwandan fabric themed dress, I sat in the audience at the American Ambassador’s House as the newest group of Peace Corps Education Volunteers (called ED-4; my group is called ED-3) took their oaths to serve in Rwanda for the next two years of their lives. I went to support the group—I had spent a couple of weeks teaching about how to use speaking and listening techniques in the classroom and observing the trainees as they went through their first round of teaching in a Rwandan classroom environment—but also to grab a burrito, relish in some margaritas, and enjoy and partake in an epic night on the town. Prior to the holidays, I had spent nearly 4 straight weeks in the village, and I may as well enjoy the festivities, I thought, especially for a special time for a lot of new friends as they enter the Peace Corps world (arguably the best, weirdest, most difficult, and craziest thing to do in life—that’s what I would say, anyway). It was a strange experience to be on the other side of things—literally and metaphorically. This time, as a guest, I sat on the opposite side of the new-to-be volunteers. I watched their reactions, emotions, and vows throughout the ceremony. I laughed along with the speeches and let myself be moved by the speeches, as well. Their words, especially the English speeches (as I could FULLY grasp everything being said), moved me. Much more than I expected. They spoke with emotional anecdotes, personal insights on why this kind of thing works, and how important it is to follow this dream and commitment. I let the tears rise, and it wasn’t just because of the power of their words, it was also because for the previous week, I had been having an immensely difficult time. To describe the kind of loneliness you experience here has proved difficult to put in words that actually hit where the heart hurts. I have people here, really amazing people that I love incredibly deeply, and yet, sometimes it just isn’t enough. And what’s weird too, is to realize that maybe the very people that I’m missing wouldn’t even necessarily be the answer to this pang in my mind and thoughts. I think that’s why this brand of loneliness is particularly complicated: the people here in my village don’t really know my life back in America, and my family and friends back home, despite my committed attempts to blog, email, and talk about this experience, and their committed efforts to listen and support me in all things, they still miss the small stuff that I can’t really put into words, pictures, or ideas. There is this gap between my two lives and sometimes it feels wider than usual, making me feel a bit lost in the world, or something like that. Like I said, it’s really hard to describe. But then there are other things that are much easier to put into words. The week prior to swear-in, I spent hours in my house one rainy day, just crying. And I wasn’t even sure why. I always enjoy my first cup (or three) of coffee in bed, but then I often have the motivation to move about my day—to go outside, walk around, or to even go on a run. During this week, however, I felt no such urgency. A vast majority of my Peace Corps friends went home in the first week or two of break to be with their families for the holiday season. I didn’t realize how hard it would be to see them go—leaving me wondering if I should be going too, and also in the meantime, who I plan to talk and text with while they are out of country? One of my students died. It’s a long winded dramatic story, believe me. I found out just a few days into our vacation, as my senior 3 students were beginning the set of national exams they have to take advance into the advanced levels of secondary school. He, and his young, 10 year old sister, were poisoned by their neighbors. Apparently out of jealousy, another student and his “witch doctor” mother concocted some kind of poison set-up in a batch of sugar cane as to make them sick. Evidently, the intention was not for them to die, but they did. I visited the family a week or so after this all happened, and I felt just so heartsick for them. To lose TWO children? And what does this say about people in my community? This place really is a good place—but why does it always take just one or two people to bring so many others into question? It’s really not fair, for anyone. And so obviously, that has been beyond difficult to deal with. It wasn’t a student I was particularly close with, but he was in fact, my student. And so it’s still pretty uncomfortable and disturbing to talk about. A few times in these more difficult days, I’ve asked myself what if I just left? Would anyone really care that much? A year of service—that’s still pretty good. And I would walk away with so many good memories and experiences. Maybe I could leave before the start of the first term so I wouldn’t leave in the middle of a school year? 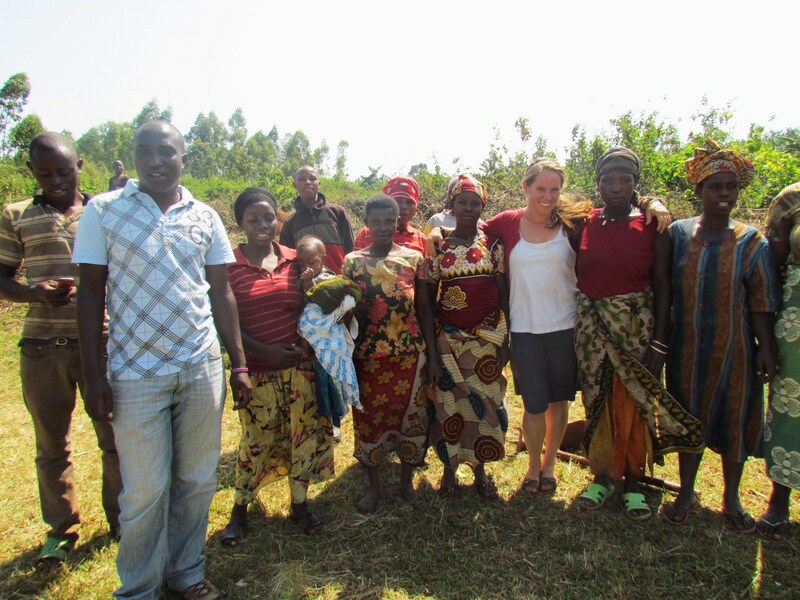 Because of the violence and rocky things happening in Eastern DRC, one of our volunteers (and a friend of mine) was removed from her site temporarily and then eventually pushed in a position to return back to America and out of the Peace Corps. This is the 10th volunteer we have lost from our group—most of them from external situations that really can’t be controlled—and it’s so tough every time we lose someone. Yes, I do spend a vast majority of my time at site and not around Peace Corps Volunteers, but the people in our group are like our families, and when they go, it’s really hard. 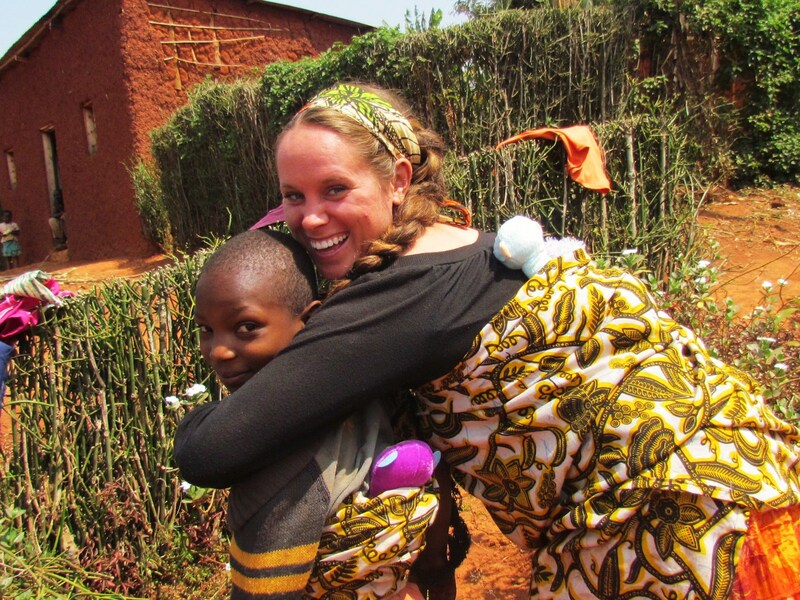 Especially in this particular case; she loved her site, loved Rwanda, and was doing SO many good things in her community. Yeah, you could say that I haven’t been in a great place. I can tell you this much, remaining optimistic and living a life of positivity is near and dear to my heart, and yet, that’s been challenging lately. So, you can just imagine. It sure hasn’t been easy: and remember, I love this place. I love my job. But like with anything, it ain’t an easy ride. There are moments, phases, and times where things are really good and I couldn’t imagine doing anything else with my life (I probably feel like this about 80% of the time, which I would say is a pretty darn good number for living a life completely different than my first 22 years). There are stages where things are just okay, and of course, there are segments where it just feels like you keep banging your head against a wall and you are quite literally, going nowhere. I recognize this is just how it goes. In Peace Corps, yes, but in life too. We’re human, and we find ways to actually feel what we’re feeling, deal with it, and continue with life. Adversity, I think, is one of the most important qualities a person can have. A lot of mentors, family members, and people that I admire have this important characteristic, and I try to bear those very people in mind when I’m going through a rough patch—whether it’s emotionally, spiritually, or whatever it may pertain to. I figured the best thing I could do for myself would be to go to a place that I could enjoy, but more importantly, be with people that would make me laugh, make me feel at home, and relax just a bit. My site is my home (I can say that now without reservation) but to work through these emotions, I realized I needed to get out of my house. I needed a change of scenery, yes, but I needed people that could still lift me up. I decided to visit my good ole’ student-friend, Divine. She’s the one (and yes, I’ve blogged, talked, and written about her already many times) that lives way out East, near Tanzania when we don’t have school. That’s where most of her family is. However, when school is in session, she lives in my community with her grandmother, helping to take care of her as she lives her last weeks and months. Anyway, I had promised I would come for another visit to see her mother, sisters, and brother. And also, with all of this muck wearing me down, I wanted to be with someone who can lift my spirits without really even trying. And y’all, that’s this girl. I arrived at her house on a Saturday evening (it was a nearly 4 hour trip from Kigali) and stayed through Tuesday afternoon. 4 days, 3 nights. It was exactly what I needed. I fit quite well in her family, I would say. They totally get my humor, laugh at my Kinyarwanda jokes, and we spend a lot of time just doing more weird stuff that makes us laugh all over again. I would dare say that her family are some of the most jolly (is that the right word? You know, people that love to laugh?) people I’ve met in Rwanda. They are always laughing. It’s so great. We also ate so much food. SO MUCH. That’s just standard though, when it comes to visiting Rwandans. We ate, danced, cooked, played sport, visited the Tanzanian border (just me, Divine, and her sister), walked around, fetched water, greeted Divine’s extended family and friends, watched The Lion King, and listened to music. I turned off my phone for most of my visit and not really even because they don’t have electricity and I couldn’t charge. No, I turned it off because I needed a little break from the world so I sure as hell was going to take it. My days out there were a continuum of really feeling at home. Like I said, I just fit in well, and so it’s easy to be there. I think I played hide-and-go-seek with Divine’s little cousin for like an hour. It’s the little things. It really is. I arrived back home quite clean (looking and being clean is SUPER important in Rwandan culture), pretty darn tired, but doing a lot better than I was the few days before. Taking a break and visiting Divine didn’t solve all of my doubts, problems, or issues, but wow, as usual, she made me believe in this whole thing all over again, and helped me remember what beautiful seeds I have sown here. Divine is a friend for life, believe it, and being around her encourages me to make the most of my time here. She makes me want to be a better person, and I’m so lucky to have her in my life. In some crazy way, she’s just another sister that I never had. I came back home with this kind of encouragement ringing throughout my head and heart, loaded with a couple of fresh packages from the post office, and a date to play football with a girls team in my village. I journaled about my trip with Divine, opened my packages (one from Ali, the other from Dad—y’all rock), and I played football, which was like the icing on a cake to a great sequence of days. The best part of the game, without a doubt, was when I shot the ball hard with my right foot, it hit off the right post, and Zahara, one of my friends and students, rebounded it directly back into the goal. YES!!! We jumped up and down and I ran right into her arms. Quite literally. Her hand knocked right into my mouth and teeth, but it didn’t even matter. We were just so excited about this SportsCenter top-10 worthy play. Congratulations! Zahara just said over and over again for like 5 minutes straight. It was a great day for football. And it was a great day, just in general. I walked home after the sun had set, happy for the game, but just happy that I was feeling okay again. Maybe not euphoric like I sometimes and often do, but I’m feeling once again comfortable and able to deal with whatever comes my way. Lucky for me, the next part of this journey brings me back in the company, presence, and arms of someone I love deeply, fully, and without any reservation. Dad is coming HERE. To RWANDA. Could the timing be any better? I really don’t think so. I’m counting down the days and hours until I get to run and hug him harder than I think I have ever done. Finally. A piece of home is coming here. Finally. 15 months without being face to face with someone from my family or circle of friends is unbelievably hard. I can’t wait to explore Rwanda with dad, with a new set of eyes, and maybe even more so, I’m so ready for Dad to see where I live. To meet the people in my community, to know this place that I call home, and to get a little taste for what my life is like here. I’ve cleaned my house. I’ve got our tickets to trek mountain gorillas ready to go. I’ve cleared my camera disc space. He just needs to get here. I’m okay with how I have been feeling. I really am. It sounds crazy, but after all, we really are only human. We feel things, deal with things, and experience things that hurt, and sometimes we aren’t even sure why. But it’s better to recognize the hurt, I’ve realized, and to do something about it. I know I don’t have to be happy all the time. I know that. But I also understand that it’s important to find ways to deal with your emotions. It doesn’t mean fixing them—it means embracing them, feeling them, and using the gifts God gives us (our family, friends, communities) to help us. We’re only human, yes. But our powers to love and support each other—and to love and support ourselves—are incredibly powerful.